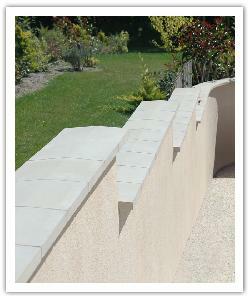 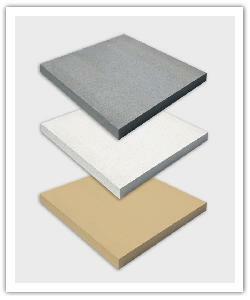 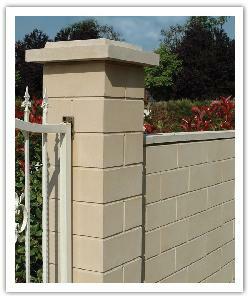 This line of products offers a fine surface finish with natural appearance of dressed stone. 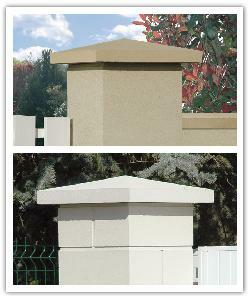 A wide range of elements including pillar blocks, caps and capitals, walling blocks and copings enable you to build surrounding wall and gate according to you taste. 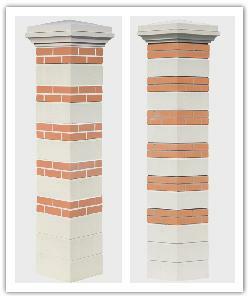 Before laying pillars and wallings blaocks, it is necessary to identify all the components and to choose the right dimensions.